Clean Beauty Market is a store curated with love and passion for the beauty industry - located in Nobby's Beach on the Gold Coast, Australia. An additional brand extension logo was developed along with flat icons to enhance brand feel through web and print. 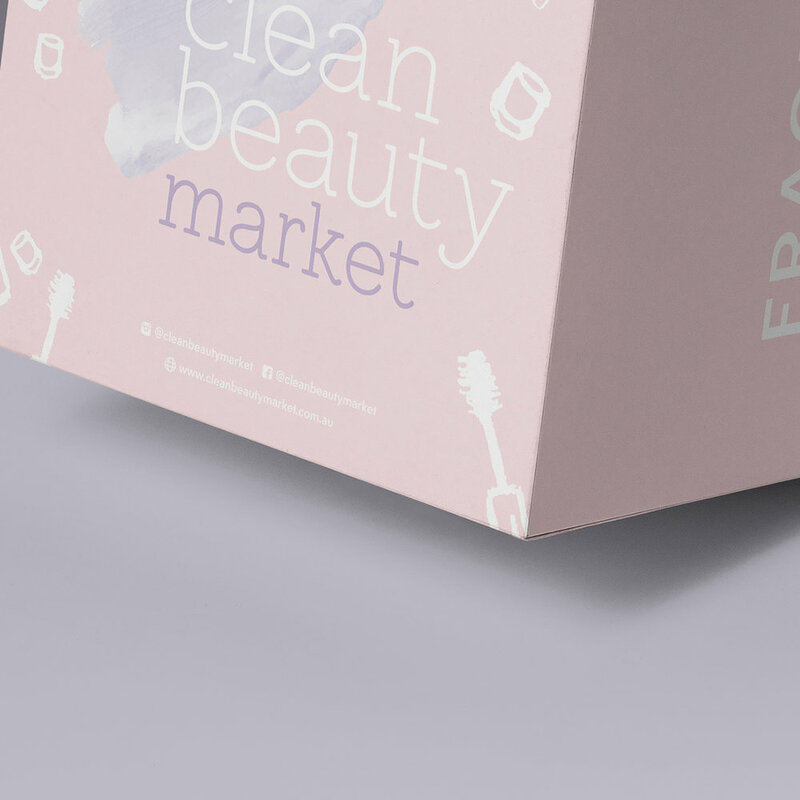 Clean Beauty Market is a store curated with love and passion for the beauty industry - located in Nobby's Beach on the Gold Coast. Custom web banners and icons were created to enhance brand feel and creativity throughout their print and web based platforms. Sub logo design was created to provide beauty support services (mini makeovers, education about safer beauty) to women in the hospital undergoing cancer treatment as an initiative by Clean Beauty. 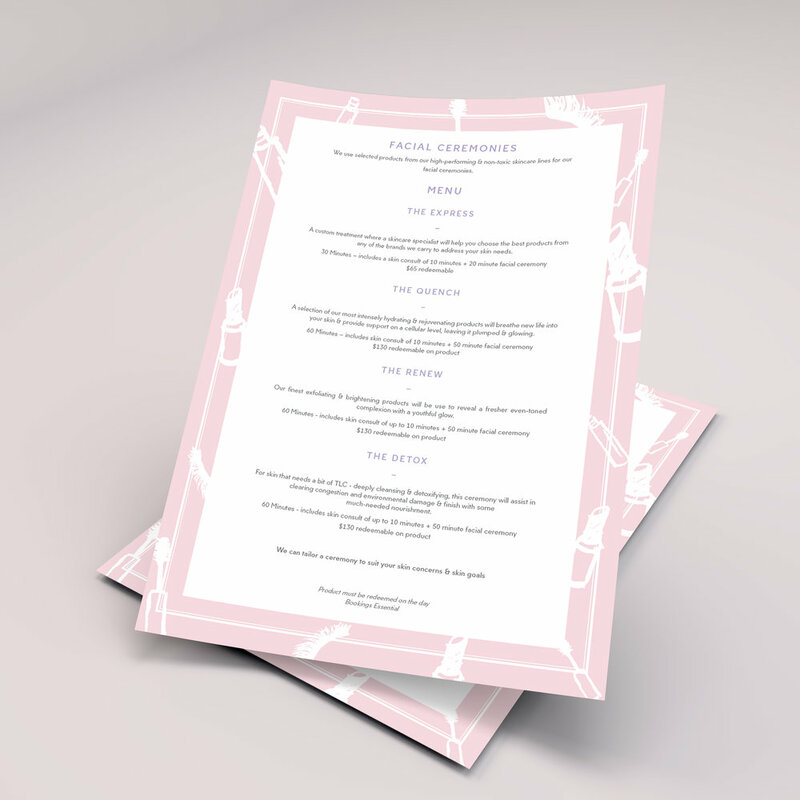 This menu design was designed to make customers aware of what Clean Beauty offer in in-store, having brand continuity and evoking the brands playful outlook on the beauty industry.